Join one of our trustees, Hirsh, as he journeys through the Helambu Valley to visit our school construction projects. We have been working since the earthquakes in 2015 to re-build and re-construct 15 schools in the Valley. Catch up on Part 1, Part 2 and Part 3! Up early and indeed the views are fabulous. I love to see the sun rise and touch first the tops of the mountains before gradually lighting up the whole landscape. Today is International Women’s Day and I soon find out that visiting Nepal schools on IWD is not such a good idea. They are all closed. So although I was greeted in the normal style and able to talk to the SMC chair of two of the three and at least one teacher in all, seeing empty classrooms is rather dispiriting. 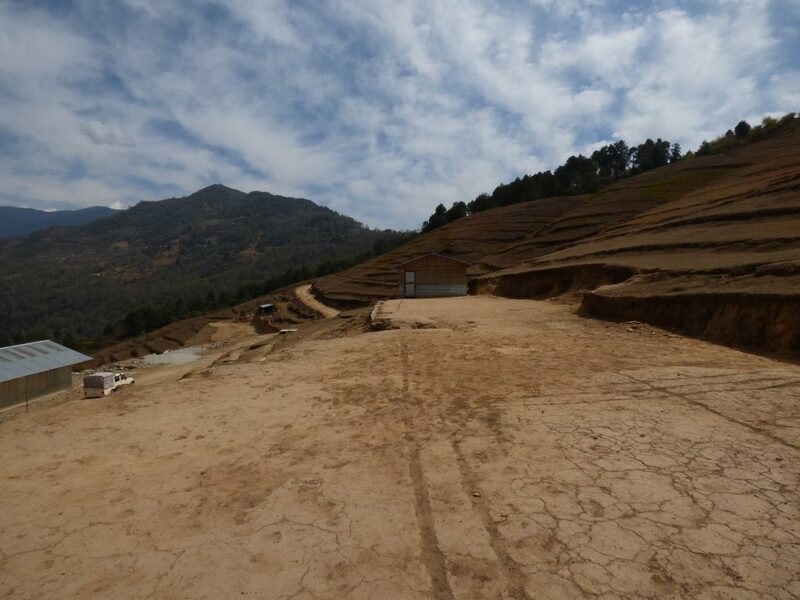 Our first stop is Gunsa, which was competed very recently and was immediately put into use as the venue for the third biennial Himalayan Games. By all accounts not only were the games themselves well enjoyed but all the guests and participants were well looked after and impressed by the efforts put in by the school and the village on their behalf. The externals of the new/refurbished blocks look very good and the classrooms within are amply spacious and functional though difficult to judge how good when there are no children within. 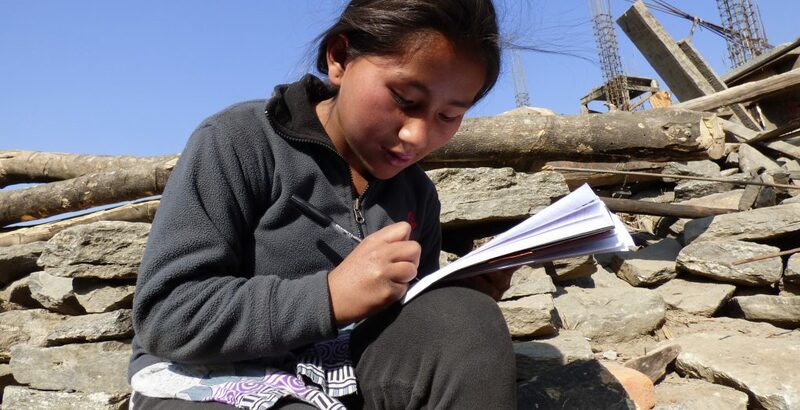 There were just a few children around playing football and table-tennis and one lively class 6 girl whom I found writing her diary at least in part in English – I read her entry describing the recent games! Next to Bhotenamlang. Here despite the holiday, most of the children and staff had come to greet me and I was duly beaten at table tennis by the young boy who had won a medal at the games! Teachers were lively and interested. The principal was there but had virtually no English so one of the teachers interpreted. As to the fabric the TLCs are in ‘pretty poor condition so the sooner we can get started on their rebuild the better ‘ but it will need a lot of funds as it is a big school, going up to class 10 also. The SMC chair of Bhotang in whose family house we were well fed last night (all very nice but followed by the hardest bed and pillow I have ever encountered! But understandable given the location!) accompanied us for the whole day today and chatting to the Bhotenamlang SMC chair (but a callow youth) bet him that their school would get better SLC (year 10 external exams) results than his. Before they wagered money on it I offered them a special prize (unspecified) for whichever school did – I’m the referee! We then had a delightful walk down to our final school of the day Langarche. This is just a primary to class 5 with a mixture of TLCs also not in the best of condition. They obviously need a lot of help. The teacher we are paying for came to meet us. He teaches maths and regrettably has very little English. We were told that the previous SMC chair after many years of service stood down only recently but not before buying the school an adjacent plot of land which we duly inspected, so they should readily be able to build the new school before demolishing the TLCs. I am hoping we will get funds for this agreed soon.